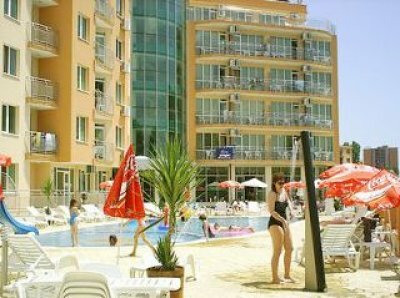 Location: The Black Sea hotel complex is located in the west part of the famous Bulgarian seaside resort Sunny Beach just 240 m away from the beach and 150 m away from the centre of the resort. 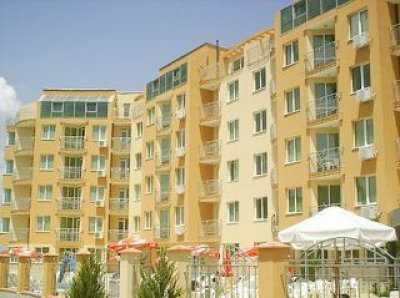 Accommodation: The complex offer 48 deluxe apartments in total - 1-bedroom and studios with living room with TV, safe, A/C; fully equipped kitchens with washing machine, fridge, hotplates and microwave; terrace. Outdoor swimming pool and fitness, private parking, 24 hrs security, internet club, restaurant and bar.